A customer looks through goods from Pokey Creek Farm at the Moscow Farmers Market. With the last of the molasses ginger cookie batter mixed, Connie Rosendahl starts collecting her baking supplies before returning the kitchen to its rightful owner. Rosendahl's business, Sisters Cookie Company, has shared the oven and counters at a pizza shop in downtown Moscow a couple of mornings a week for a year. "We're pressed for time here," she says. She seals containers of flour and sugar and baggies filled with white chocolate chips. She looks forward to one day soon when she's "not just coming in, getting it done, and getting out by 9 o'clock." You can't see it from where she stands near the industrial mixer, but just out the front door, about 100 feet to the right, her own bakery nears the end of construction on the corner of East Second Street and US 95. It should open this month. Sisters Cookies started at the Moscow Farmers Market in 2010. Rosendahl and her daughters, Sarah and Anna, opened a children's booth that was supposed to last a couple of weeks and teach the 8- and 12-year-olds to handle money. But Rosendahl stumbled into the kind of demand entrepreneurs dream about. Two weeks turned into a market season, which led to a second. They outgrew their home kitchen, then shared spaces. Her daughters, now 13 and 18, have friends who aspire to work in their family bakery. And no one is as surprised as Rosendahl. "I didn't even want to go to the market on day one," Rosendahl confessed. "I figured there are so many good cooks out there and so much great food, why would I show up with cookies and expect people to buy?" The Moscow market takes pride in its role as a small business incubator. This year, three restaurants with ties to the market opened downtown in addition to the bakery. As art director for the city of Moscow, Kathleen Burns oversees the 38-year-old market that spans three blocks on Main Street every Saturday from May through October. 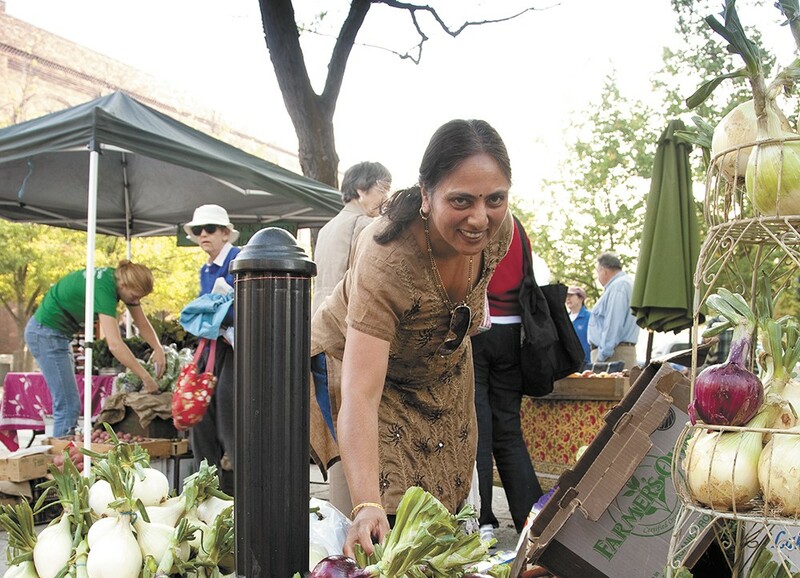 Hosting about 80 vendors, some of which have been around for almost two decades, the farmers market attracts loyal customers, she said — up to 5,000 a week. Loyalty subtly describes the kind of support that has allowed businesses to move beyond the market. After giving new vendors a chance on Saturdays, customers become invested, returning faithfully with friends and family in tow and making suggestions that shape these fledgling businesses. Customers pushed Rosendahl to branch out from chocolate chip cookies and rewarded her with orders she'll need her own bakery to fill. In the middle of its second season, Humble Burger, another startup, crowdfunded more than $14,000 to purchase costly equipment before opening a restaurant in September. "People are able to depend on people here," Burns said. "You have your customer loyalty before you even open up your storefront. You're doing your marketing, your promotion, your awareness — you're doing all those first-run business activities in a one-day system. There's a really good test market there." At first, Humble Burger co-owners Nate and Hannah Wolff wanted to start a food truck. "They'd just come back from Portland where there's a food truck culture and brought the bug with them," said their partner, Chris Aberle. "At least around here, it's about the same level of investment to start a restaurant brick-and-mortar-style versus a truck, so it's really hard to start out with a minimum product and see if you can make it work." In their 30s with families and little money to invest, the Wolffs opted for the Moscow market, where they could test a simple burger and fries that cost about $8. Now that they've moved forward, they said it feels less risky. "I'm surprised at how not nervous we've been," Aberle said. "I think because we've already been doing it for almost two years, it's an actual step rather than a big ol' jump. It feels so much more natural to be doing it." "Having the farmers market under our belt is really the big difference-maker," Nate Wolff added. While this year was especially successful, the market-as-incubator route is well-worn by others. Panhandle Artisan Bread Co., started at the market seven years ago, and Patty's Mexican Kitchen grew out of the sale of homemade salsa and tamales. "We couldn't make enough to last at the market. We sold out by 10 am," says Gerardo Alvarez, who was a graduate student at the University of Idaho when he and his wife, Patty, made their initial $50 investment in supplies in 2001. After one season, they turned a 12-by-16-foot shack on Sixth Street into a kitchen with a walk-up window and outdoor seating.